Pet Pride is a Kroger’s brand of pet food. They produce dog food, cat food, cat litter and training pads. Although I found some negative reviews of their pet products, there also have many happy customers. Their products are really affordable and now, when they also offer a discount coupon, you might be interested to try purchasing their treats for your pet, to break the usual routine and treat him with something new. Their dog treats come in several different flavors: Twistin Bone Dog Treats, Beef Flavored Jerky Strips, Bacon Style Strips. They also have a Treat for cats: Chicken Breast Jerky. With the coupon that’s currently available you will save $0.40 when you buy any 1 Pet Pride Cat Treats at Kroger Family of Stores. 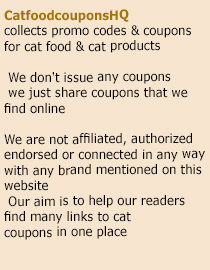 This offer expires on 12/11/2015 and you can clip the coupon at their coupons page, under the Pet care section. In order to load the coupon you will have to sign in at any of the Kroger family websites (and register if you haven’t already). This entry was posted in Pet Pride. Bookmark the permalink. What happened to your Pet Pride Cat litter? Is it still available? I am disappointed I cannot find it anywhere. What happened to the Pet Pride cat litter? Something called Cat Pride is now available, seemingly in it’s place but is NOT the same stuff. I, too, have been unable to find Pet Pride cat litter. It cost significantly less than the others, clumped better, and came free of the horrid “fragrances” that supposedly eliminated odors. The apparent replacement — Cat’s Pride — boasts “50% lighter for the same price”, costs two dollars more, barely clumps at all, and smells to high heaven.